Prior to joining Speechworks more than a decade ago, Nancy was an account executive and sales trainer for a Fortune 100 company. She also served as a speechwriter for many of the corporation’s top executives. Regardless of the role she was in, Nancy knew that one fact remained constant: relationships win business, and relationships are about connection. Nancy’s coaching focus is on helping professionals from a variety of industries make connections of their own. 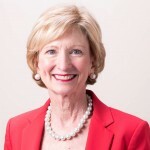 In addition to leading communication skills workshops, she also serves as an adjunct professor of communications at the Georgia Tech Scheller College of Business. Connect with Nancy on LinkedIn, and get to know more about her and all of our world-class communication coaches at www.speechworks.net/about/.